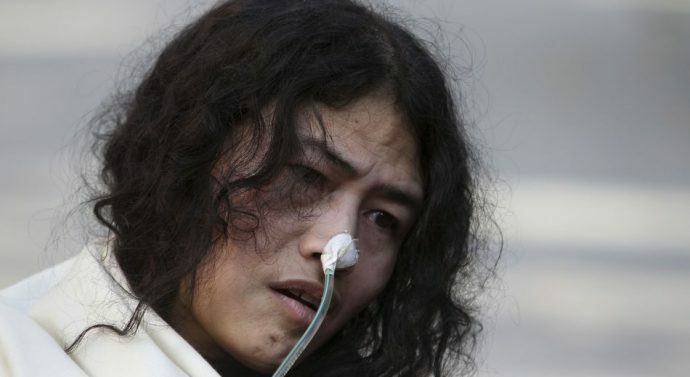 One of the longest hunger strikes in world, her protest began on November 5, 2000, Human rights activist Irom Chanu Sharmila will end her 16-year-long hunger strike, but she now wants to end it and enter politics to achieve her goal. It is the example of strong ‘Iron Lady’ woman. An Indian political activist who has been on hunger strike for 16 years is expected to bring her protest to an end on Tuesday. She alive only with the A tube is attached to her nose, from where a calculated dose of food is inserted into her stomach forcefully, in order to keep her breathing and her vital organs alive. Human rights groups such as Amnesty International have repeatedly called for the abolition of AFSPA. She demanded that Indian government should repeal the draconian law that accords the armed forces absolute power in troubled areas.